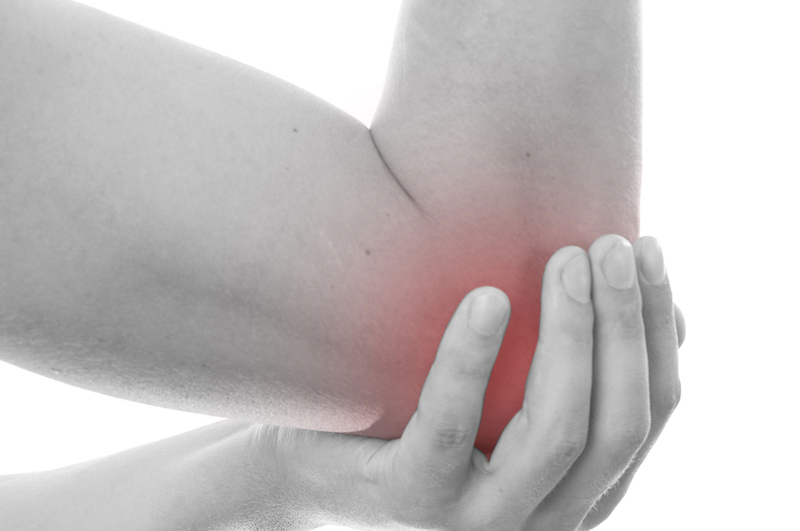 It gets its common name from the fact that it is a common injury among tennis and golf players, however, anyone can get this condition if they over-stress the muscles that attach at the elbow. - Commonly caused by repetitive microtrauma from overuse of the muscles forearm muscles. - Other possible risk factors for epicondylitis include taking up tennis or golf later in life, poor ergonomics while typing for a prolonged period of time, or other unaccustomed strenuous activities. - Some studies have shown that trauma such as direct blows to the elbow, a sudden forceful pull, or forceful extension can also cause these conditions. Manipulation/ articulation – The addition of manipulative treatment to the cervical and/or upper-thoracic spine can produce additional improvements in pain and disability (See reference 3). Rehabilitation Exercise – A supervised exercise programme consisting of slow progressive eccentric exercises and static stretching of the of wrist extensor & flexor tendon has been shown to help reduce pain and improve function (See reference 4). - Cortisone injections are harmful in the longer term and are not recommended. - More research is needed for platelet-rich plasma injections and hyaluronan gel injections. - Surgery and botulinum toxin injections should only be used in the worst cases that last longer than 6 months. 1. Orchard J & Kountouris A. (2011) The management of tennis elbow. BMJ;10(342):d2687. 2. Vicenzino B, Cleland JA, Bisset L. (2007). Joint Manipulation in the Management of Lateral Epicondylalgia: A Clinical Commentary. J Man Manip Ther;15(1):50–56. 3. Herd CR, Meserve BB. (2008). A Systematic Review of the Effectiveness of Manipulative Therapy in Treating Lateral Epicondylalgia. J Man Manip Ther;16(4):225–37. 4. Stasinopoulos D, Stasinopoulos I, Pantelis M, Stasinopoulos K. (2010) Comparison of effects of a home exercise programme and a supervised exercise programme for the management of lateral elbow tendinopathy. Br J Sports Med;44(8):579-83.